As teachers, we delightfully grasp the gift of a 3-day weekend, seeing it as a time to rest, relax, and rejuvenate. Our students aren't much different! 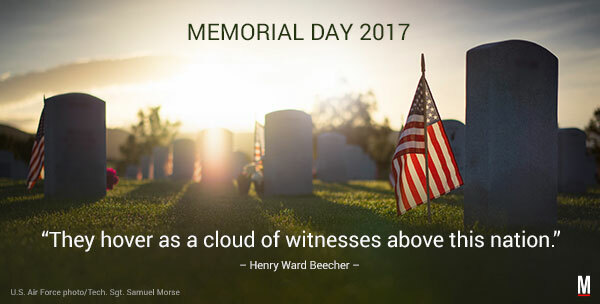 Memorial Day is no different, especially as it is the unspoken introduction and invitation to summer. Yet, "Happy Memorial Day," perhaps isn't the right sentiment given the purpose of the holiday: to given thanks and pay tribute to the men and women who have given their life to serve our country, and who then periled in their devoted service for all of us. 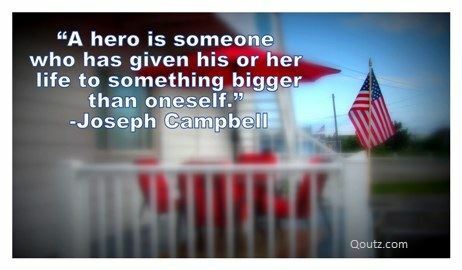 I hope everyone takes time this weekend to honor those who have sacrificed to give us our freedom. To fully get yourself in the spirit of gratitude, Military.com has a phenomenal video to help put you in a mindful and grateful mood.